If you’re sick of awkwardly plugging your laptop into a projector to watch movies on your wall, Lenovo’s new IdeaCenter 610S is for you. It’s a powerful PC with a built-in 720p projector. As others have pointed out, the rig also looks like a Star Wars droid. 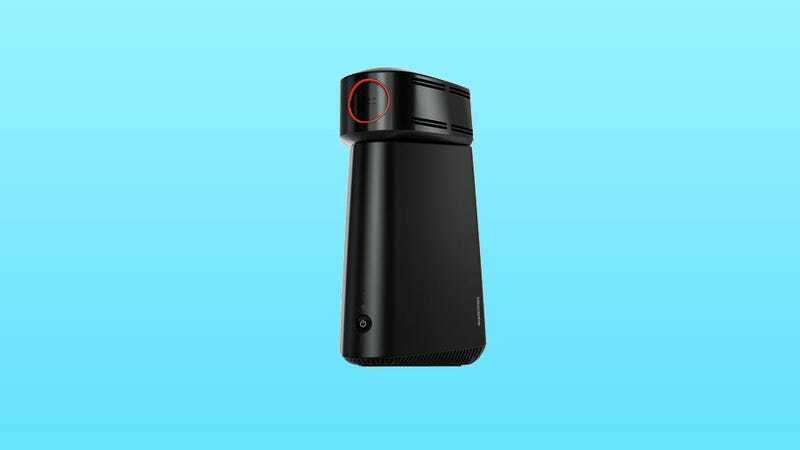 Lenovo showed off the latest addition to the entertainment-focused IdeaCentre line at CES 2016 on Monday. While its most unique feature is the tiny detachable projector, the 610S also holds its own as a movie playing machine as well as an every day PC. Packing the new Intel 6th generation Core i7 processor and up to 16-gigabytes of RAM, it can handle any stream you throw at it as well as store massive amounts of content on a 2-terabyte hard disk or a 128-gigabyte SSD. It works with Windows 10 out of the box, and if all else fails, it’s a neat conversation piece. Gizmodo’s on the ground in Las Vegas! Follow all of our CES coverage here.